Home » Up^Cycles » Wonderfat Pillow! This entry was posted in Up^Cycles on May 26, 2012 by admin. 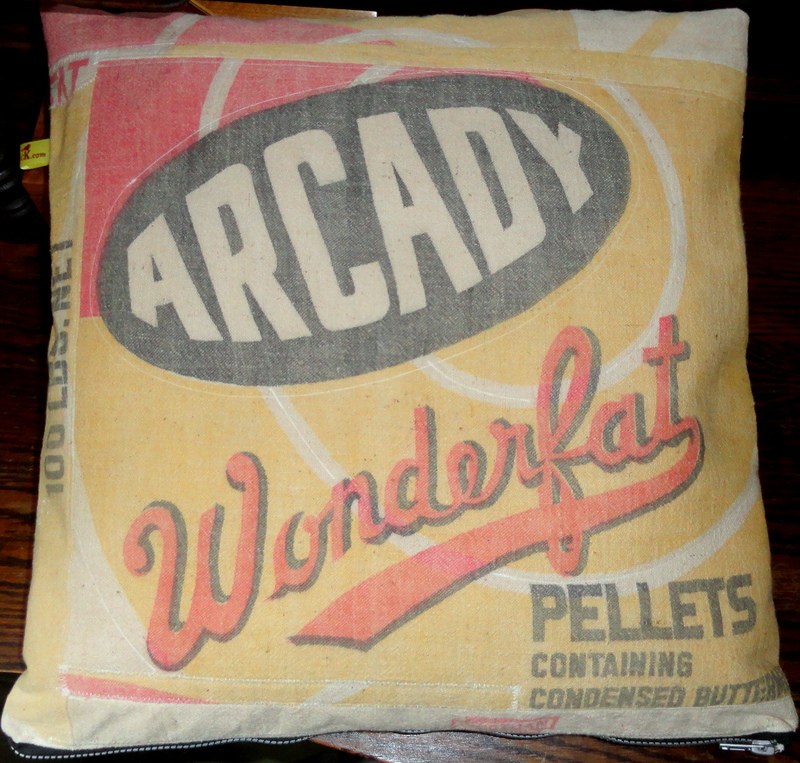 One 18″ pillow cover made from a vintage 100 lb “Arcady Wonderfat Pellets” sack. 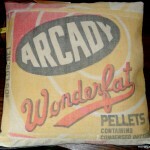 Also reads “Containing Condensed Buttermilk.” I don’t know what ‘Wonderfat’ is but I love the graphics, very retro. The front was carefully pieced using pieces of the sack, which was certainly showing it’s age when it came into my possession! The materials on the back of the pillow is a lightweight black upholstery fabric. The bottom has a heavy duty zipper.